While the Moto G6 is an obvious upgrade in terms of aesthetics, the smartphone still retains a level of G-series look. This makes it much more unique compared to some of its competition out there. Sandwiched with glass on both sides like you have in premium smartphones with a metallic frame in the middle. 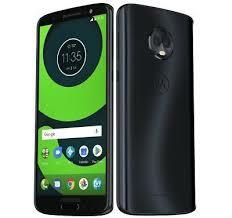 It is also worthy of mention, that the Moto G6 is not waterproof but instead it has a P2i coating which is water repellent. On to the next thing which is the fairly large display featured on the smartphone and happens to be a good one at that. Boasting of a Full HD+ resolution with a 5.7-inch size, you’re sure to enjoy crisp and detailed colour reproduction a mid-range smartphone can offer. Also, thanks to the 18:9 aspect ratio which accommodates bigger display due to its narrow nature rather than robust, thus, makes handling more difficult. It is also worthy of mention, that there is a Corning Gorilla Glass 3 for protection against scratches. Powering up the smartphone is nothing more than the average battery in most mid-range devices. Talking about a 3, 000mAh battery capacity, the smartphone should go for a day conveniently, although it all depends on usage at the end of the day. There is a fast charge feature through its USB Type-C port but wireless charging is unavailable as that is reserved for high-end smartphones. With the new smartphone opting for a dual rear camera which is for more depth and better blurring-out of the background generally known as bokeh effect. Having a combination of a 12MP primary camera and an assistance of a 5MP sensor, the combo of which should be able to take pleasant images especially in enough light. For selfies, the smartphone has a an 8MP camera along with a dedicated flash in case of low light. In charge of performance is a beefier Qualcomm chipset compared to its predecessor with a Qualcomm Snapdragon 430. However, on this one is a better Qualcomm SDM450 Snapdragon 450 with a maximum clockspeed of 1.8GHz and eight cores. Graphics munching is done by a capable Adreno 506 GPU which is also mid-range. 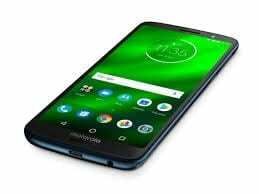 Moving further on hardware on the Moto G6, the smartphone has a 3GB RAM and 32GB internal storage model. Another variant is equipped with 4GB RAM and a larger 64GB built-in storage space with expansion limit of 128GB same as the lesser variant. Running on nearly stock Android 8 Oreo with a little extras on it. The smartphone will be available soon for about 110, 000 Naira on various online stores depending on your location and the deal.